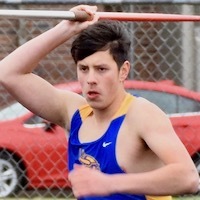 Siuslaw junior Ryan Rendon-Padilla launched the javelin a 4A state-best 172 feet, 4 inches Tuesday to win the event at the Sky-Em League JV Meet at Junction City. Rendon-Padilla, the defending state champion in the javelin, is more than 10 feet ahead of No. 2 Tanner Stottlemyre, a senior at Newport, who had a 162-2 personal record on March 15. Rendon-Padilla was 41 feet better than runnerup Finn Mitchell of Junction City. 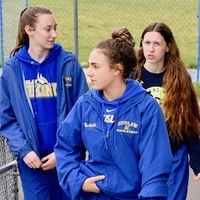 Seniors Davina Galli and Madison Reynolds and sophomores Gracie Freudenthal and Andrea Osbon also won events Tuesday. Galli won the 100-meter hurdles in a PR 18.47a, Reynolds the discus in 83-4, Freudenthal the 200 in 27.99a and Osborn the shot put at 31-4. Freudenthal also was third in the 400 in a PR 1:03.78a, the No. 6 time in girls 4A. Freudenthal didn't run the hurdles, but remains No. 1 in the 300 and No. 2 in the 100 at the 4A level. Osborn is No. 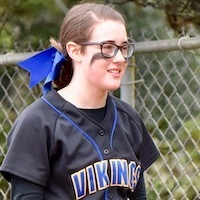 5 in both the shot put and the discus from marks she set at the Siuslaw Icebreaker.